Keeping your gundog well-nourished is incredibly important, especially in the run-up to shooting season when they need to be at their best. However, due to the huge range of dog food brands and types to choose from, it can often be difficult to decipher which is the best option for your dog. To help you make the right decision, we’ve enlisted the help of gundog and shooting expert, Richard Reeve, who has provided a basic guide to arm you with all the information needed to ensure your gundog receives the best possible nourishment. Is Your Dog Well Nourished? • Coat – a dog’s coat should be thick and glossy, without excessive amounts of oil or a bad smell. Dry skin or dandruff is also often related to diet. Excessive malting can be diet related though it is often just down to genetics. • Stamina – a working dog should never appear overly fatigued. 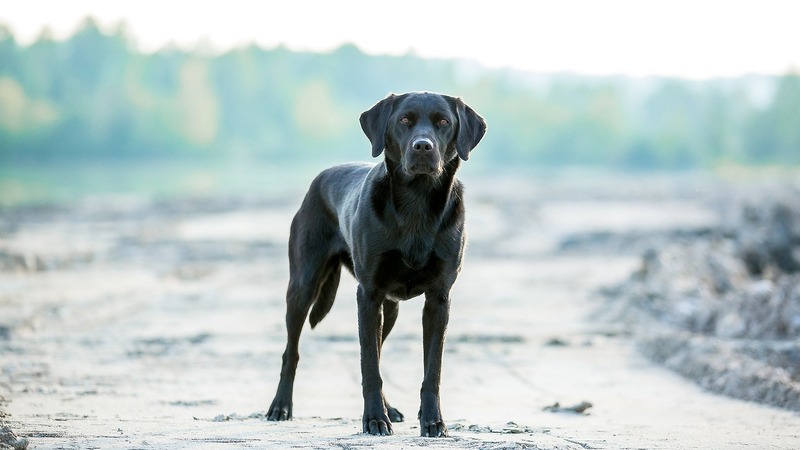 If you have been properly exercising and training your dog in preparation for the game season, or whatever you will be using it for, then your dog should not exhibit any signs of extreme fatigue. Signs of fatigue include foaming at the mouth, disorientation, inability to stop panting, bloodshot eyes, excessive drinking. • Teeth & Bad Breath – Dogs’ breath should not actually be that bad! Often dogs with poor diets have bad teeth and stomach issues, which leads to bad breath. Your dog’s teeth should be white and free of any staining or rot. • Weight – A dog should have a waist, it should not be barrel-shaped. Ribs should be visible but only just. Muscle definition should be obvious in areas where fur is short enough. As a puppy, your dog should have been exposed to a huge variety of suitable foods — raw and cooked red and white meat, raw vegetables, rice, oily fish, and a variety of good quality kibble. As an adult, your dog will need a balanced diet that agrees with its stomach and caters to its energy requirements. If you give your dog ‘wet dog food’ exclusively, its teeth will rot very quickly. This is because wet dog food is not a natural thing for a dog to eat and it is too soft to offer a natural cleaning action as the dog bites into it. Kibble is much better for teeth as most contain a small amount of grit to assist in keeping teeth clean and help reduce the build-up of plaque. • Do not feed your dog leftovers as not only could this cause your dog to form the bad habit of begging, but it is likely that the food you’re eating won’t hold the correct nutritional value for your four-legged friend. • Do not feed your dog sugars as this will ruin their teeth as well as their coat, so it’s best to avoid sweet treats. • Do not feed your dog cooked bones as, in this state, they are likely to splinter and subsequently, cause issues to your dog’s health. • Do feed your dog raw meats every one or two weeks – as long as they are from a hygienic source, they will help to keep your dog’s teeth clean and provide important amino acids, vitamins and minerals. • Do give your dog uncooked bones every two or three weeks as, like raw meats, these will help to keep your dog’s teeth clean, strong and healthy. • Do give your dog a tin of oily fish (in spring water, not brine) from time to time as this will help ensure their teeth, nails and skin remain healthy. 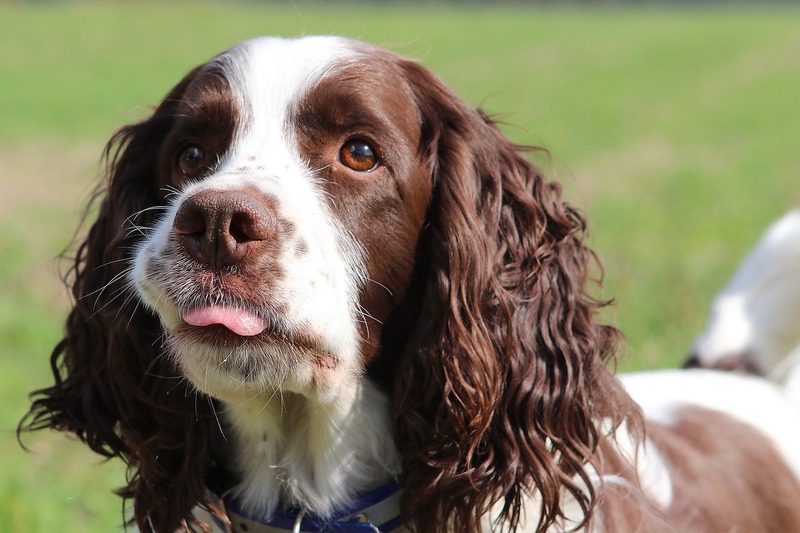 While it is recommended that domestic dogs be fed once or twice a day maximum, several factors that can influence how often you should feed your gundog or working dog. For instance, if your dog is working all year round between four to five days a week and sleeps outside, they will easily require double the amount of a dog that works once or twice a week and sleeps in the warm. Ultimately, there are two obvious ways to tell if you’re overfeeding your dog; their toilet habits and weight. Your dog should be going to the toilet fairly regularly and producing a small amount of firm waste (a handful for a Labrador). Additionally, most dogs at a healthy weight should have a slim figure, and you should be able to feel their ribs when placing your hands across them. 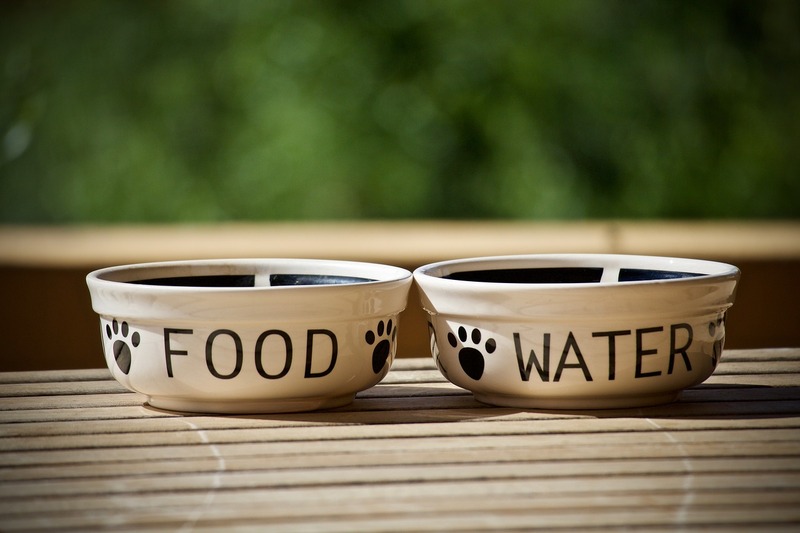 Finally, in order to get the right nutrition, your dog must be able to eat their food easily and comfortably; consequently, having the right dog bowl is essential. Dog bowls should be kept clean (washed with boiling water) and be positioned so that it is easily reachable, and your dog doesn’t have to chase it around the floor. 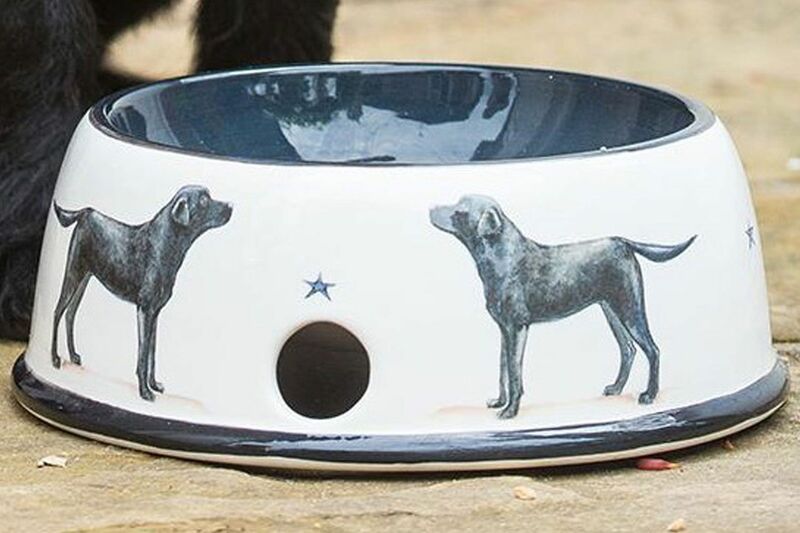 If your dog eats outside, you could also put their bowl on a step so that they don’t have to drop their head all the way down when eating or secure it in a corner, so it cannot be moved. We hope this expert blog has proved useful in helping you provide the correct nutrition for your gundog as you head into the shooting season. 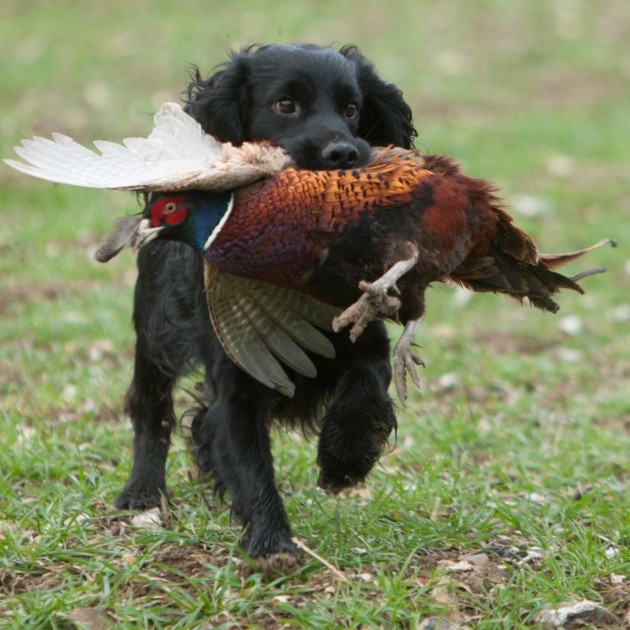 To ensure you’re fully prepared, browse our extensive range of gundog accessories today or read our blog on how to recognise problems in your gundog.